In Fiore del Mare Ring, a Tahitian pearl blooms forth from graceful petals of gold. 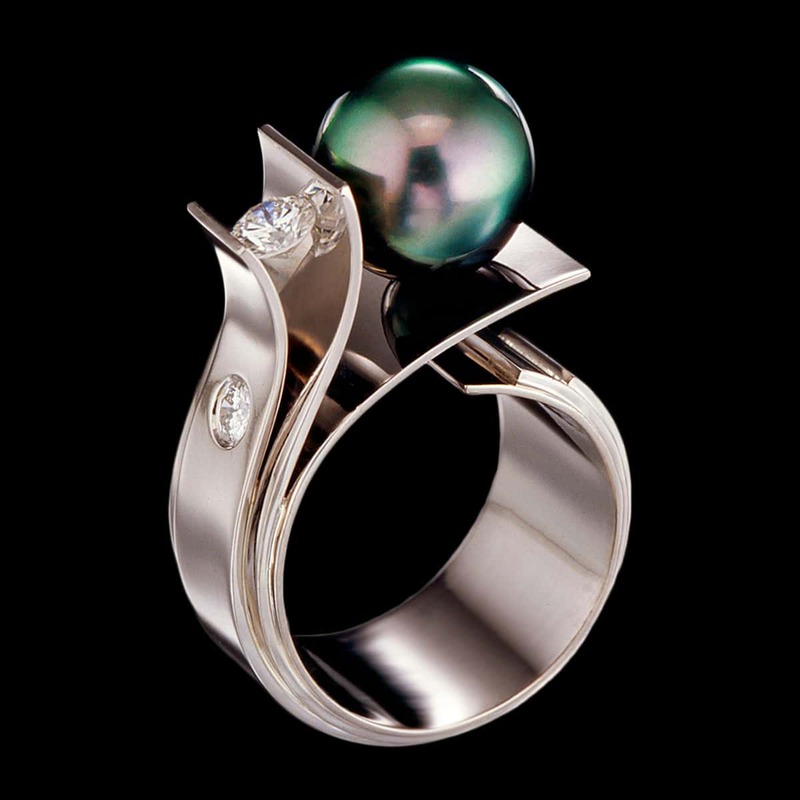 This unique ring design includes a stunning 11mm Tahitian pearl with diamond accents set in white gold. To purchase, call us at (949) 715-0953 or use our contact form below.